Kirkurk fields lie in a politically disputed area of the region. British Energy giant, BP and the Iraq Ministry of Oil have announced they have signed a Memorandum of Understanding to develop Iraq's Northern Kirkuk oilfields. BP's President of Middle East Michael Townshend and Iraq's Oil Minister Jabbar al-Luaibi both signed the document at the headquarters for the state-owned North Oil Company (NOC) which is entirely responsible for Kirkuk oilfields according to the Ministry of Oil. Mr. Luaibi was quoted as saying "The ministry is keen to develop oilfields in Kirkuk to open a new chapter for the NOC in improving its role as a national oil supplier." 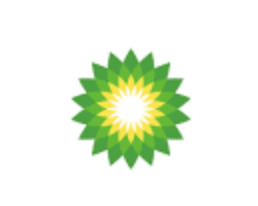 Mr. Townshend also stated, BP "will conduct (seismic) surveys and prepare the required studies to develop the oilfields, and will increase Kirkuk's oil output to 750,000 barrels per day (bpd)." Since Iraq has regained control of Kirkuk, the Ministry of Oil has been keen to work diligently to increase crude production in the region. As a much contested region, Kirkuk fields lie along a boundary line outside Kurdistan, yet, Arabs and Turkomans as well as Kurds dispute the area. Oil is ninety-five percent of Iraq's state budget and as recently as 2010, Iraq announced proven oil reserves were sitting at 143.1 billion barrels of oil, an increase since the last estimation of 115 billion barrels of oil.